Its services can be used by most devices as they support various operating systems, such as Windows, Linux, Android and iPhone. Various packages are available for the customers but without any comparative option. You can compare the prices and services here. 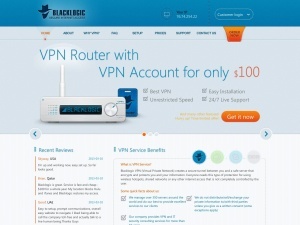 BlackLogic keeps no provider logs and offers complete anonymity to its users, although the servers are monitored against illegal activities.